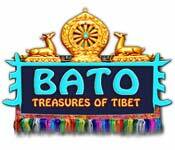 Bato: Treasures of Tibet is rated 3.8 out of 5 by 11. 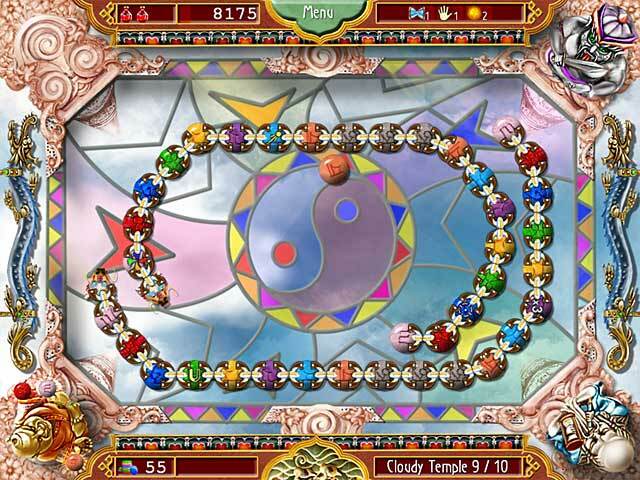 Rated 5 out of 5 by TAIYO1937 from Taiyo I love this game, very challenging, but fun to play. Graphics are great and obstacles get more difficult with each level. Takes a lot of patience and concentration, since if you're not careful and start getting too confident, you'll inevitably get a "defeat" and have to start a level all over again -- frustrating. But if you like playing pool, even if you're not good at it, this is the game for you. Rated 5 out of 5 by chronicgamer from really unique So this game was the most unique game I have ever played. its like a pool game with little stones, you have to move the stoes so they hit each other of the same color. I loved the level of challenge in this game, and I found the music nice too. the story itself got a little longwinded at times but luckily you skip it to keep playing it. I'm still playing the last level which is crazy difficult.... but in a good way. Rated 5 out of 5 by betskand62 from Good game by Cave Quest people I haven't been able to stop playing this! It's an odd variation on billiards (with additions) but much more interesting to me. It gets harder and harder. I can tell that this is one I'll be playing for a long time, both to relax and to challenge myself. Rated 5 out of 5 by thimbles from If you like pool or Peggle try this one. Hit balls with one of the same color by aiming straight or banking off sides or other balls to clear the table. If you are not aggressive enough (take too many staight shots, etc) more balls appear on the board. I don't like the in depth story games, but this one is to the point and entertaining. Rated 4 out of 5 by fredandethel from Unique and challenging Can't really understand the rules, but can't stop playing! Sometimes I think I've done well but only get about 30 per cent "quality" - whatever that is, some levels I struggle with but get 100 per cent!?! If I take any notice of the little ball juggling Buddha in the bottom left corner I always fail. Baffling but addictive, I've completed the game once and started over. 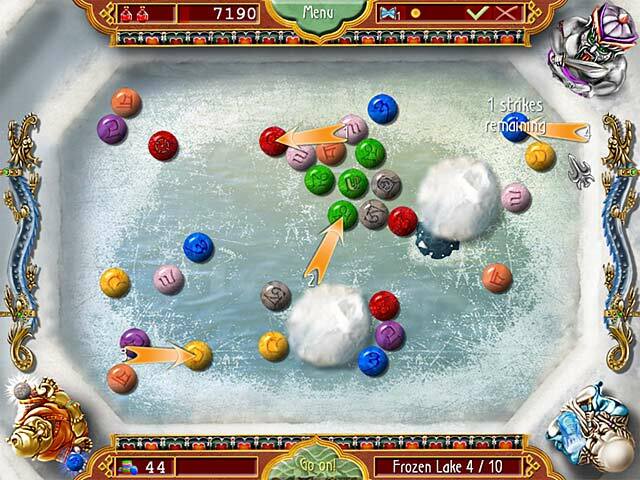 Rated 4 out of 5 by Rebr2009 from A mix of pool table, marble popper and match 3 You have to hit a ball with another of the same color to make them go away. The difficulty increases: the more balls of the same color with a single shot you hit, more points you make. Sometimes when you destroy balls, but less than it should, others emerge on board. You can play timed or untimed. Good graphics, colorful, good sound. Nice entertainment. Great for billiards lovers. 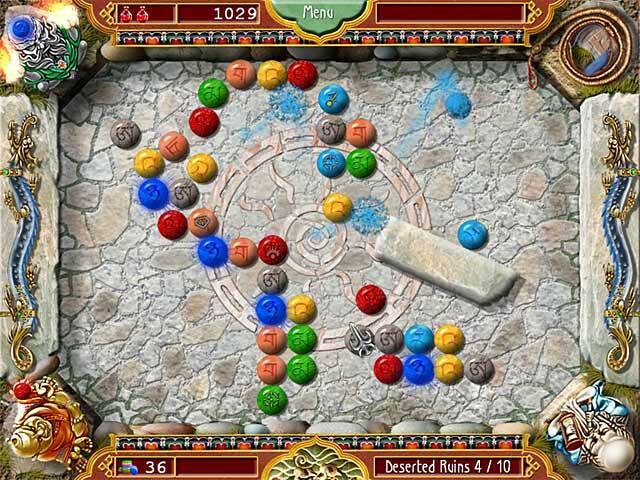 Rated 4 out of 5 by pses from Relaxing, challening reverse marble popper strategy game Bato: Treasures of Tibet is actually a kind of reverse marble popper strategy game rather than a match 3 game, sort of like pool or billiards. It starts off easy to learn how to play and navigate, then gets progressively harder. There's an interesting storyline that walks you though the levels to keep it engaging. The sound and graphics are nice, lots of little surprises pop up in the way of challenges and rewards. If you're seeking something relaxing and a little different, you'll enjoy this Bato!